It’s Breck, Baby! And It’s Open! @Breckenridge prayers answered, and lifts opened! And did we mention 339 inches of beautiful, powdery snow to date? With more snow predicted? Angels are singing, skiers and boarders are checking their schedules and trying to figure out how to get back to Breckenridge for one final glorious spring fling. 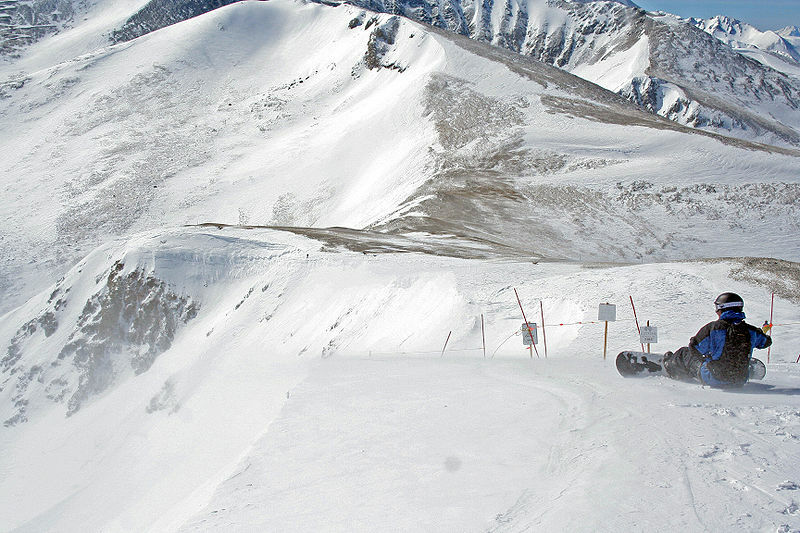 The best news is that owners at Grand Lodge on Peak 7 have the ability to call and ask for flex time, where unused inventory is available at owners only rates, as well as book an additional week through Interval International, the platform owners use to exchange weeks, visit other destinations worldwide, and access great travel deals. There are so many benefits to owning a luxurious condo at Grand Lodge on Peak 7 using the fractional real estate model, and flexible travel is just one of them. If you have not already done so, you need to contact us to find out how to call Grand Lodge on Peak 7 your home away from home. There is no better ownership opportunity in Summit County, Colorado than these sophisticated, luxurious condos with world class amenities and ski in, ski out access. Don’t let another season go by! This entry was posted on April 20, 2013 by elevatemarketingaz. It was filed under Breckenridge Colorado Luxury Condo Sales, Breckenridge Luxury Condo Sales, Breckenridge Real Estate, Breckenridge, CO Real Estate, Breckenridge, Colorado Real Estate, Fractional Ownership Real Estate, Fractional Ownership Real Estate Breckenridge CO, Fractional Ownership Real Estate Summit County Colorado, Fractional Ownership Real Estate Summit County, Co, Fractional Real Estate Breckenridge, Fractional Real Estate Breckenridge Colorado, Grand Lodge on Peak 7 Breckenridge, Colorado, Luxury Fractional Real Estate, Luxury Fractional Real Estate Breckenridge CO, Luxury Fractional Real Estate Breckenridge Colorado, Luxury Fractional Real Estate Summit County, Co, Luxury Fractional Real Estate Summit County, Colorado, Real Estate Breckenridge, Real Estate Breckenridge Colorado, Ski In, Ski Out Luxury Condo Breckenridge Co, Ski In, Ski Out Luxury Condo Breckenridge Colorado, Ski In, Ski Out Luxury Condo Summit County, Co, Ski In, Ski Out Luxury Condo Summit County, Colorado, Summit County Co Real Estate, Summit County Colorado Luxury Condo Sales, Summit County Colorado Real Estate, Summit County, Co Luxury Condo Sales and was tagged with Breckenridge, Breckenridge Colorado, Breckenridge Colorado accomodations, Breckenridge Colorado condos, Breckenridge Colorado skiing, Breckenridge luxury condo sales, Grand Lodge on Peak 7, ski in, ski_in_ski_out Breckenridge condo. #Breckenridge Mountain is Open for Business and #DewTour is on Its’ Way!